Discussion in 'JS Plugin Releases (RMMV)' started by KanaX, Jan 24, 2018. Using Spriter, it is easy to create functional, fluid, expressive animations with sprite parts, without needing to create large numbers of sprite sheets. Moving sprite in slow-mo, or fast-forward. Change the bitmaps of a sprite so that the same animation is done with a different visual character. Example: Change skin set from a man to a woman, doing the exact same movement. Change/add new parts to your existing animation. Example: Add hat to character / Change hair of character. Add sound effects according to the animation cycle. Example: Footstep, every time the character's foot lands their foot down. A display of Bones, the moving parts that sprite pieces "stick" on. Create path img/characters/Spriter/ and inside Spriter, a folder named Single Bitmaps. Paste SpriterObjects.json in data/ or copy the one from the demo. Enable the plugin from the Plugin Manager and assign a number for the variable which will store animation info. WARNING: Do not modify that variable after activating the plugin. Have some ramen noodles, because you deserve them. The plugin should work as expected in most regards (please check "Future Updates/Fixes" for more information). The first 4 animations in a Spriter project will respond to the character's 4 directions. If you want your character to move without Direction Fix, you have to create at least 4 animations. Spriter might face some problems with its documentation, so if something inexplicably does not work, try redoing the animation. If that does not fix your problem, feel free to contact the plugin creator. Create a folder in img/character/Spriter/, named after the Skinset. The Skinset folder should have 4 folder which each taking the parts for each direction. Note: If you use TexturePacker spritesheets, instead of creating folders for each direction, just place in the Skinset folder the .png spritesheet and the .json file. Make sure to name them the same as the Skinset folder. Step 3 is also null. Inside the Skinset folder, create the folders with the bitmaps you used for the animation. If you want certain Spriter Sprites to appear globally across the game (such as animated armor and weapons for actors) you need to create them in the SpriterObjects.json file in your data folder. (See more info about SpriterObjects.json in About SpriterObjects.json). 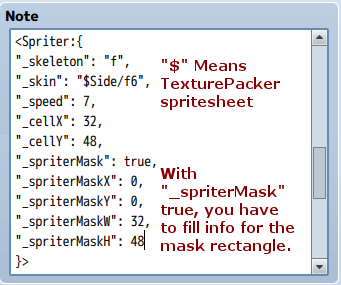 Note: If you use TexturePacker spritesheets, add a "$" in front of the skin name. WARNING: 01/24/2018 THERE IS A PIXI.JS BUG IN v4.5.4 THAT MAKES MASKS NOT WORK IF THE MAP HAS TILES. Animations play when 1) an actor/event has walking animation on and is moving, or 2) an actor/event has stepping animation on. For animations that are supposed to loop (walking animations, rolling balls, etc. ), you need to toggle the Repeat Playback button in the Spriter Pro timeline. Much like the MV Sprite_Character class, Spriter_Character class looks for data in the actor/event object in order to create/update a sprite. But what happens when we want our character to hold an animated sprite? A sprite whose animation is separate from the animation of its parent? Like a torch, or a magic aura. And what do we do when we want to keep these sprites for multiple maps? That's why we create SpriterObjects! In SpriterObjects we create faux game objects, with just the bare minimum data to satisfy the needs of the Spriter_Character class. You create a new object, you give it a name, skeleton, skin and then you can attach it to any character you want! Note: For TexturePacker spritesheets, add a "$" in front of "male_2"
eventSkinPart eventId imageName (Spriter/skinsetName)-or-(bitmap name from Single bitmaps) fullsprite? Note: For TexturePacker spritesheets, add a "$" in front of "Items/helmet"/"mace"
SkinPart,imageName,(Spriter/skinsetName)-or-(bitmap name from Single bitmaps),fullsprite? RemoveSkinPart,imageName,(Spriter/skinsetName)-or-(bitmap name from Single bitmaps),fullsprite? [Click Here] The Autorun Story might not perform well on less powerful computers. [Click Here] Please excuse the typos and timing. Free for use in all projects. Please provide credits to KanaX. Feel free to let me know about your project, or any ideas regarding the plugin. Fix reverse animations (this._speed < 0). Add ability to distort texture meshes. 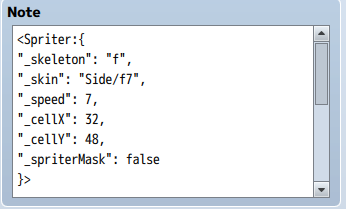 Make functional masks after dealing with a pixi.js bug. I hope this contributes to the community that helped me substantially with my growth! It is my first official plugin so feel free to recommend any changes, fixes, suggestions, offer criticism, etc. UPDATE: If you are interested in using Spriter Plugin in a battle scene, feel free to contribute in this poll. Tweaked the core of the plugin to work with up-coming Battle_Scene add-on. With tagging certain sprites can automatically change their skin according to their equipment. Slight0, redspark, Chaos17 and 45 others like this. Are you kidding me.... cutscenes are going to be amazing using this. Do you think it’s possible to use an animation sequence with an action battle system? I would guess that it's very possible. However, this plugin does not encompass battle scenes, partly because I have never created a battle scene in my life! Nevertheless, with enough demand, I might just do it. Might actually have a use for spriter that I bought a year ago and never use. Thanks for this. kaine and KanaX like this. In your video, the character pulls the sheet away and gets out of bed. How did you make this animation play once in it's entirety, rather than looping? Spriter Pro has a "repeat" button that allows looping on play. This info is documented in the save file and I use it to determine which animations are meant to loop or not. I would like to thank you, however, I forgot to mention that. Isabella Ava and Harken_W like this. Thank you . Awesome plugin btw! I've been praying for this since I got MV. Hoping to use it to add effects to the world and screen (eg. an alien spaceship swooping down and beaming down a character). Edit: I has the dumb, the error was in an alias I made. Congrats on getting it done! Now when will WSS be finished? Archeia and DangDut like this. 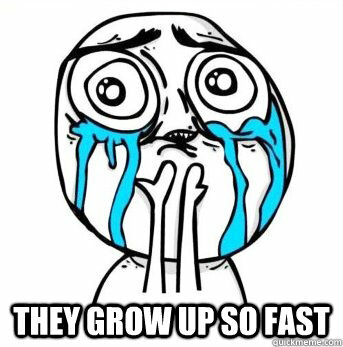 @Hudell when Orange Season leaves early access. Amazing work, and a very pedagogical explanation on how it works. Wow that is fantastic! I could make so many cut scenes with this. Forgive my scripting ignorance but would this work with a script for 8 directional movement/sprites? also I keep getting an error in the demo :-( "reference error : arga is not defined"
@Alopexdog Oh my gosh, I'm so sorry. Made an error in the new fix I did a few hours ago. And I'm sorry I didn't see the reply sooner. Please download the new version of Spriter.js from github and replace the old one. Thanks KanaX It's a fantastic plugin.